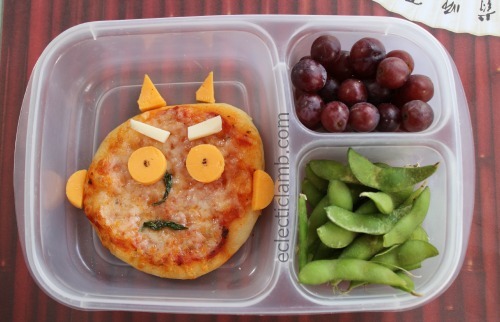 In honor of Setsubun (bean throwing day) in Japan, I made this Oni Shaped Pizza lunch. Setsubun is generally celebrated on February 2 or 3. It is a custom for a family member to wear an Oni mask and other family members throw beans at him. They say, “Demons out! Luck in!”. This entry was posted in Bento / Cute Food, Food and tagged 節分 鬼 ピザ, japanese holiday. Bookmark the permalink.